Ending a marriage is never easy, especially when only one of you wants “out”. If you are all “in” and want to do whatever it takes to save the relationship, there are a few behaviors to avoid. Or, if you have already thrown in the towel and feel as if you don’t want the relationship to continue, there are some behaviors to avoid as well. In either case, you are going to be deeply contemplating the outcome that you want and the behaviors of you and your partner can be detrimental to the success or failure of your marriage. 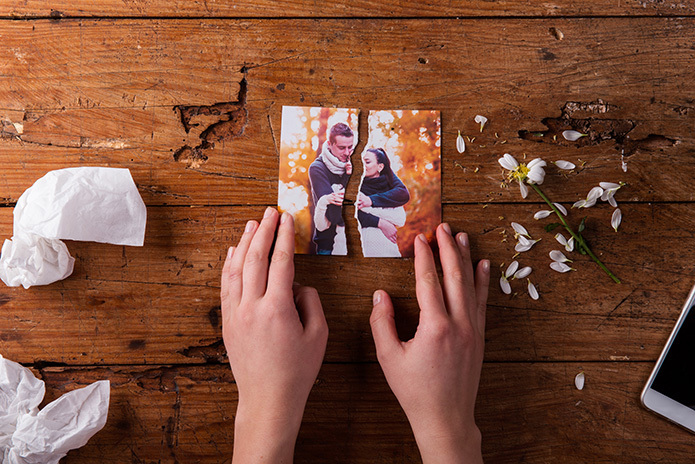 Here a few tips on what behaviors to avoid during a divorce or possible reconciliation. This means no name-calling or criticizing. It is one of the easiest behaviors to engage in when you are alone with your spouse and a disagreement arises. Take a deep breath and try and remember that you have no control over the behavior of your spouse. Negative talk will just make things worse and make you look bad. Refraining from belittling leads you to a path of accepting the outcome, good or bad, and being ok with it. It is normal to want to point the finger, especially when you are trying to make your spouse aware of the damage they have done to the marriage. Instead of blaming your partner for all of the problems in the relationship, take control and ask questions. If you want the relationship to work, what can you do to help and listen to your partner instead of blame. If you want out, blaming will set the stage for a volatile divorce especially if there are kids involved and custody issues to resolve. If you are checking phone logs, social media and text messages, you need to stop. Remember you cannot control the behavior of your spouse and controlling acts like these just pushes them further away. The chances for a peaceful divorce or possibly making it work slip away. Displaying acts of jealousy and control actually means you are losing control. Both of you need room to breathe and reflect. Respecting privacy is always positive whether you make things work or go your separate ways. The Divorce and Family Law attorneys at Rappleye & Rappleye, P.C. can help if you are in a bad marriage and are contemplating divorce or separation. We have over 60 years’ experience and will safeguard your interests and future by providing the right solution for your case. Call us today for a consult!